A quick, tasty recipe for baked shrimp with butter, garlic and Parmesan. Baked shrimp are the ultimate healthy fast food - they are ready in ten minutes! 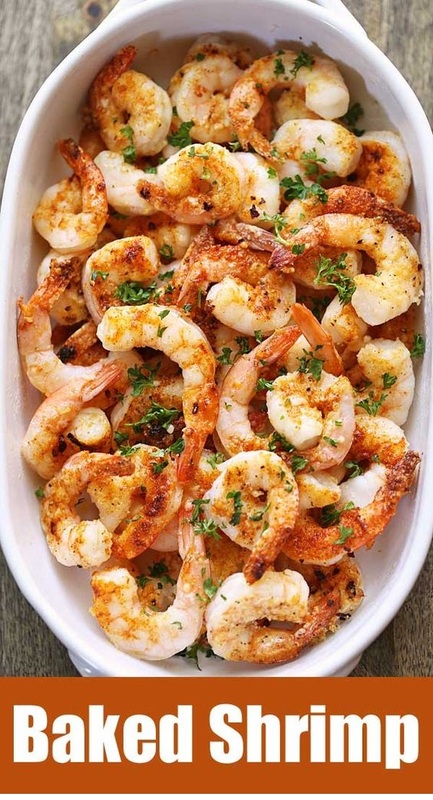 Arrange the shrimp in a single layer on a large baking sheet. Pour the melted butter on top of the shrimp and toss to coat.